The term ‘Big Data’ is a highly appropriate description of the ever-increasing growth and availability of data. Largely via the IoT (Internet of Things), users can access vast amounts of data on a huge variety of subjects, from consumer information to social trends to industry averages and much much more. The availability of data on all sorts of things continues to grow exponentially, so Big Data just keeps getting bigger and bigger. What are the advantages of accessing Big Data? Across the board, executives and planners are aware that a robust fund of data can lead to more confident and effective decision making, resulting in improved operational efficiencies, with resultant reductions in costs and risk, which in turn lead to increased profitability. If a user asks for Big Data on their industry – say, apple pie making and selling – they will get a huge amount of stored information on the subject, gleaned from an enormous variety of sources. They will have a massive, unsorted pile of information about apples, pastries, apple sales, customer preference, seasonal variations and a whole lot more. The user will be looking at more than enough information to result in apple pie information overload and very probably an upset stomach from trying to digest too much raw apple pie data. How do you get usable and accessible Big Data? The granular data that is available can translate into powerful knowledge that makes significant improvements in company performance. But the data needs to be accessible and that is achieved by the use of an integrated business analysis platform. Such a platform will force unruly amounts of jumbled data into comprehensive formats. Expert analysts will produce data analysis relevant to an individual company in various formats which provide the user with a clear and accessible path of exploration, leading them to valuable decisions based on the relevant available Big Data. Big Data is a big subject and not always an easy one to manoeuvre around. Inevitably, several myths have arisen concerning the use of Big Data. These need to be thoroughly debunked if users are to benefit from data analysis that is easily acceptable to all users, both internal and external. The bottom line is that if users cannot easily digest the data it has no value whatsoever. So – let’s go myth busting. Myth: Internal users of data value flexibility, but do not want guidance. Executives and managers want all the data they can get their hands on and do not want guiding through it. This is so untrue that professional analysts have found that when people do not know what to do with the unsorted data they have, their instinctive reaction is to ask for more of it! Very few are willing to spend any significant amount of time to sort through the data at hand in order to get answers to their queries. The key factor is that users do want to be guided through the data and to be presented with information in a way that removes uncertainties. Analysts know what to look for and how to find the relevant answers in the Big Data haystack. They present well planned and designed reports that are exactly what the customer wants to guide them in the right direction. Myth: Customers do not ask for data analysis. Well, they may not ask directly for a data product, but often ask indirectly, with, for example, questions about comparing their company to the industry average. There will also frequently be queries about ease of access to data, both for senior executives and others within the organisation. They may mention a need to produce monthly reports and ask how best to achieve this. All these are indirect requests for data analysis. Professional analysts have found that companies do not always ask for Big Data reporting when a projects starts up, but inevitably they want the product as the project approaches its end. Savvy analysts will tailor their research and their product accordingly. Myth: Analysists cannot charge customers for data the customers supply. This shows a lack of understanding of the nature of data products. They do not provide easy access to raw data, but rather an informed solution based on the data available. What is being sold with data products is not the data itself, but the analysis that makes that data accessible and valuable to the user. 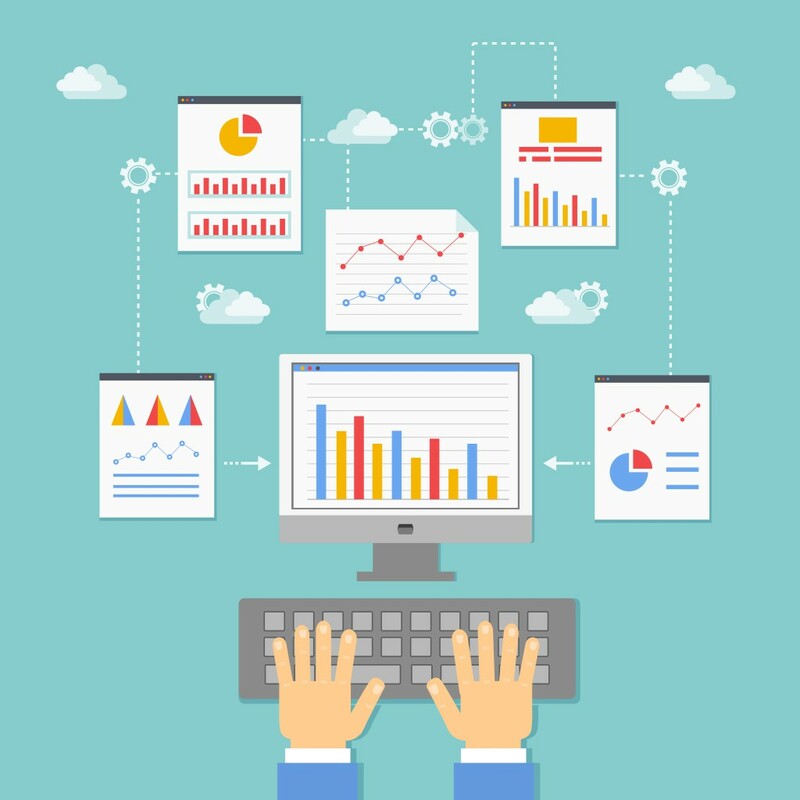 Reports may contain industry-specific metrics, algorithms, displays, benchmarks, recommendations and insights – all of which are of tremendous value to the user and make the raw data something that can be effectively worked with. This, of course, will lead to the benefits that customers are after from data – enhanced efficiency, lower production costs and increased production and sales figures. So, while customers do indeed own their data, they value and will pay analysts for knowledgeable categorisation, in-depth analysis and reporting that is specific to their particular industry and market. It is clear that an integrated business analysis platform is the way to make the best use of raw data, whilst avoiding information overload. Big Data already plays a key role in business and industry and an understanding of the importance of expert analysis of the vast amount of raw data available will increase the growth of Big Data and ensure that users get the best possible results from the data they acquire. This entry was posted in Observations & Answers on March 31, 2015 by Valerie.